Coming up with fresh new content consistently can be a challenge. Sometimes we know our own area of expertise so well that it can be difficult to put ourselves in the shoes of our followers and share with them something that they don’t know. If that’s you, then don’t worry. It’s perfectly normal and I see it all the time. That’s why today, together, we’re going to explore ways that you can come up with 20 content ideas in 30 minutes or less, so you can spend less time worrying about coming up with new content ideas and more time engaging with the people who are consuming that wonderful content. Firstly, I want you to ask your followers what they want. Give them some broad options of topics and create a poll. See which ones come up top, and create content on the three to five top ones. Next, look at what the industry leaders in your area is talking about. What’s the hot topic? What’s controversial? What’s got people polarised? What are the major challenges your industry is facing at the moment? Create a blog, a video blog, or a podcast episode around the major talking points industry leaders are talking about. Read a book and share how what you learned in the book relates to your business or your life or your area of expertise. Or maybe, read more than one book and create a list of your favourite books on a specific topic that relates to your area of expertise. Something else you can try is think about things that have gone wrong. Things that have gone wrong in your business or life, or things that went wrong in the life or business of one of your clients. Share what happened, what you learned from it, and how it can be easily prevented the next time. Share behind the scenes. If reality TV has proven anything, it’s that we love going behind the scenes of the people we adore. Take your followers behind the scenes of your life or your business to show them how you’ve created the success you have. How about Googling your own area of expertise? What are the top articles that come up? What opinions do you have about those top articles and how can you contribute to the conversation? What about interviewing an authority in your field? Reach out to every authority in your industry and ask them if they’ll spare a few minutes to add value to your audience. But remember, you have to give if you want to get. Find out what matters most to them and see if you can help them first. Finally, host a live Q&A. Let your community interview you and pay attention to the questions they ask. Turn those questions into your next three or five video or blog topics. That should keep you busy for a while. Coming up with video or blog topics and ideas should feel light and easy. You now have a few places you can start. As you start creating consistent quality content, you’ll feel your content muscles flexing and you’ll get stronger and stronger and it will get easier and easier. Go ahead and tag someone in the comments who would also like to hear these tips on coming up with content ideas in less than 30 minutes. Have a Facebook fabulous week, and see you next week! 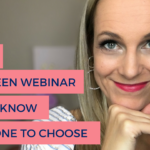 Gary Vaynerchuk says, “Content is king, but context is God.” If you’re managing many different social media platforms and posting on all of them, maybe you’ve wondered: Should I be posting different content on different platforms every day? 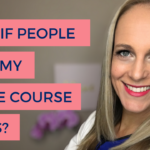 It’s a perfectly legitimate question, which I get asked very often, especially from new content creators or new entrepreneurs who want to make the biggest impact they can on social media, so they just go and post everywhere. But, it soon leads to a feeling of overwhelm and frustration, because coming up with new, fresh content every single day is hard. Who has time for that? Let’s think about what Gary said. If content is king, that means we have to be posting new content consistently. We all agree on that one already, Gary. But if context is God, that means we have to pay attention to the way people consume content on every single platform. On Twitter, people want short, punchy one-liners. On LinkedIn they want very serious articles with punctuation. On Facebook, they just want to chill out and check out what their friends and their favourite brands are up to. Instagram is for inspiration and beautiful pictures. But it’s simply not true. If your followers are on one specific platform, choose that one and do it well before you move onto the second one. Don’t let your FOMO get the better of you. Choose one platform where you can build a community of engaged followers and create consistent content on that one platform. Then move on to the second one. Tip number two. Start blogging, vlogging or podcasting regularly. 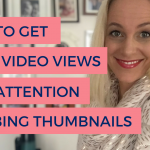 Now this may seem like a lot of work, but it is well worth it when you start using your social media platforms to drive traffic to your blog, vlog, or podcast. You can also grab smaller bits from this bigger piece of content and turn that into social media content. This way, you’re leverage your time by creating one big of content, and then repurposing tiny little bits of it over and over and over. That way, you always have something of value you can share on your social media. Let me give you an example of how this works. Record a video blog and post it on Facebook and YouTube. Have it transcribed and turned into a very serious article for LinkedIn. From the transcription, grab little bits and turn them into tweets. Take those little bits, put them on a beautiful image, and post them on Instagram. Now go on Instagram Stories and share a little bit behind the scenes of this video blog. Then jump over to SnapChat and take a picture of you looking like a cat and post that for fun. I think you get the picture. Sit down and batch-create a handful of major pieces of content. These are your blogs, your video blogs, or your podcast episodes. Then pull from it social media content you can use over the next 12 months. Tip number three is repost old content. Only a fraction of your audience sees the content you post daily. If it’s an evergreen post that will have value to your audience six months after you posted it the first time, and you can see that it did pretty well organically, then post it again. Go back into your insights and see which posts performed best, and repost them. Now there you have it, folks. You do not have to come up with original content for every single platform, every day. If you follow these three simple tips you will find that soon you’ll be building a large social media following and you’ll be spending 30 minutes to an hour every day engaging with your wonderful followers. Please share with me what is one thing you’re going to be doing this year to simplify your social media content creation process so that you spend less time thinking, “What am I going to come up with next?” and spend more time just hanging out with the awesome community you’re building. Tag a friend in this video who needs to see this or share it on your page. Thank you for watching, and may you have a Facebook fabulous week. 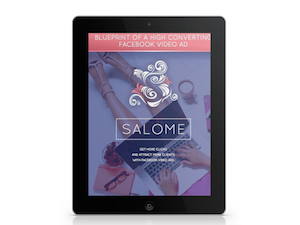 I help coaches and online course creators reach more people, sell their online courses and attract more coaching clients with High Converting Facebook Ads. Sign up right here to receive periodic email tips about Facebook and your online presence.